I think this depends on the way you utilize medical care. 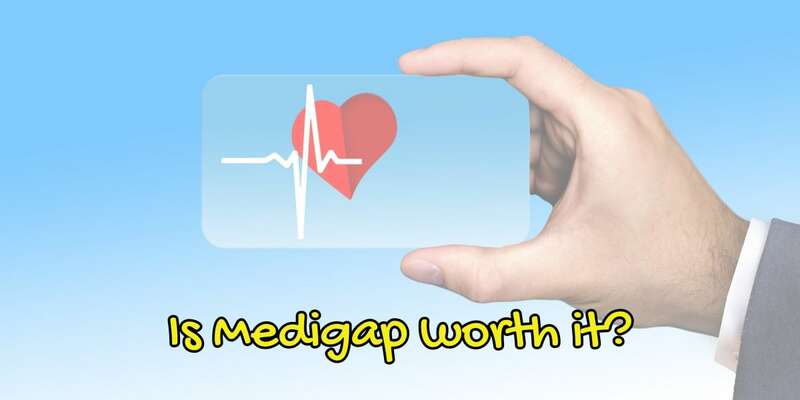 Medigap, the nickname for “Medicare Supplement Insurance” fills the gaps of Medicare. Medicare Advantage Plans replace original Medicare. You can learn more about how this works HERE. 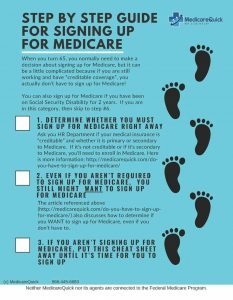 But basically Medicare Advantage Plans can give you extra benefits on top of original Medicare, without an additional premium, or a low additional premium to Part B. Medigap plans ALWAYS have an additional premium on top of Medicare Part B. And that's the reason why people ask the question, “Is Medigap Worth It?”, and I convey my own personal situation to them. When my husband signed up for Medicare, he was very concerned about being able to choose his doctors. I thought we should consider a MAPD plan because he rarely went to the doctor and was in great health. He wanted to be able to choose any doctor anywhere in the USA. It was very important to him to be able to research and find the top specialist in any medical condition that happened in the future. He obtained a cancer diagnosis when he was younger and knew the possibility of it recurring existed. He also knew that eventually he would need surgery to replace both his corneas and wanted the top surgeon in the USA, who was not in our local area. Not everyone wants or needs that though. I myself had surgery to remove a growth removed from my armpit. I had put this off until it had grown so large that it was affecting my ability to work. By the time I decided to have it removed it had grown to the size of a small egg. Did I do any research on the best surgeon for this? No. I went to my primary care physician (actually she was my OBGYN) and had her look at it. Then she gave me a referral to a surgeon that could remove it and I set up the appointment for the next available time slot. I had a PPO at the time, so I could have gone to any doctor. But I didn't. In my husband's case, I believe that having a Medigap plan saved his life. So is Medigap worth it in his case? I'd say 100% YES. My husband was diagnosed with prostate cancer in his 50s. He had it treated (seeds) and has been getting a PSA test every six months. In 2014 he noticed that the PSA was increasing, but his doctor didn't seem to worry about it because his PSA was still considered “low”. Doctors generally don't start worrying about PSA levels until they get to the level of 4, and my husband's level was still well below 2. In July 2013 his PSA was .65, and in Feb 2014 it was 1.63. However, even though his doctor said not to worry about it, his increasing levels still bothered him. So he made the appointment, On 10/13/2016 he got his 2nd opinion and his PSA was 2.89, and the new doctor didn't seem concerned about it either but agreed to give my husband a scan to be certain. He agreed that the rate of increasing PSA levels, even though the absolute rate was low, might be a concern. The scan came back positive. My husband had stage four prostate cancer that had gone into his bones. This news devastated us. 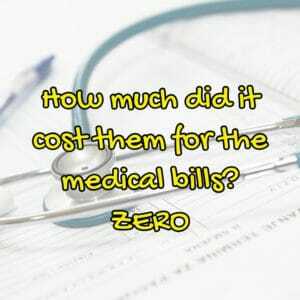 What did all the medical appointments and treatment cost us? That's right. His Medigap Plan F covers all his Medicare deductibles, coinsurance and copay at 100%. Additionally, Medicare Part B covers the hormone-blocking shot that he receives on a quarterly basis. And his Plan F covers the Part B coinsurance at 100%. So we don't pay a dime for the medicine either. Is Medigap Worth it — Even on a financial basis, I think so because under a MAPD the chemo and the quarterly drugs would have cost us plenty! Don't get me wrong, he spends plenty of money on supplements. Medicare doesn't cover supplements. But as far as medications go, Part B currently covers them. And since his Medigap plan covers his Part B coinsurance at 100%, we pay nothing. We know that his medications could change in the future, and so we set money aside to pay for his medications that may not be covered when that time comes. But it's not just financial that makes it worth it for us. If he had a MAPD plan I'm sure he wouldn't have thought to get the second opinion. Even if he did, I don't think he would have offered to cover the scan at 100% if the MAPD denied it. And with his PSA levels less than “4” there is a good chance getting the scan would have been denied. I'm glad he insisted on getting a plan that is flexible! Yes, I'm glad he didn't listen to me when I suggested a MAPD “would save us money”. As of June 2018, his doctor declared him “in remission”. As far as the question, “Is Medigap worth it?”, for us, it's a resounding YES. I fully believe that he would not have gotten a second opinion on a MAPD plan. And even if he did, I don't think MAPD would have approved the scan because of his low levels of PSA. And without that scan, how would we have discovered his cancer? So before you wonder if Medigap insurance premiums are worth paying, think about what you would have done in his situation. Would you have paid for your own scan if your doctor refused to order it? I don't think we would have. And that would have led to a very different outcome for us. So is Medigap worth it? You'll have to decide that for yourself. Many people can save a lot on MAPD plans. But the restrictions on these plans might have been devastating for my family. I'm happy to help. I work with both types of Medicare plans so call me or use this form to email me and I'm happy to help you chose the plan that's right for you. One thing is certain though, if you choose a MAPD I'm going to make certain that you understand the pros and the cons of those type of plans.